I have recurring fantasies about certain planner formats that I've tried numerous times and I wish would work for me but just don't. Yet that doesn't stop me from dreaming about them. One recurring planner fantasy I have is of a large day per page planner containing my entire life. I love the idea of having a big page each day where I dump everything that happens that day. I could stick papers and whatever into the back, tape horoscopes and fortune-cookie fortunes to the pages, and fill the book with all the little details of my life. Saturday on the train the woman sitting next to me had a day per page planner like that, and it made me wish again that something like that would work for me. Another planner fantasy I have is of a similar situation, in a personal size Filofax. I love those stuffed Filofaxes that people use for years and decades, that become a life companion. I'd love to have my entire life housed in one Filofax for ages, and have it be my faithful sidekick that gets me where I'm going and captures all my memories. In real life, I have to use a combination of planners: a weekly for planning, a daily for recording and a personal Filofax as my info book. I used to carry all three books in my bag every day, which you can see more about in my short video I did a few months ago. Now I carry my Filofax with me everywhere because it's also my wallet, and usually my daily planner too but not always. My weekly gets used intensely at home but usually stays home unless I know I'll need to schedule something while I'm out and about, which isn't very often. I suppose I could stuff my day per page planner or Filofax full of my life's details and all those little scraps of things, but it seems diluted to have things in separate books. I guess I like the idea of that intense commitment to one book all year, and that one book holds my entire life that year. I love those books with papers sticking out, corners bent and covers stuffed full. Do you have planner fantasies that you know don't work for you but you can't help thinking about them? Yes, I do. I lust after that level of simplicity and focus. But "know thyself". For awhile I thought I had it all worked out, with a classic binder and 2 backup classics - one with A-Z tabs for all my notes, one with blank & used pages. That seemed so cool, just dumping the notes right into the A-Z. But I can't write around the rings in a binder. And they're too big to carry. Moleskine is too small. What is "just right?" Am toying with idea of a totally freeform sketchbook for daily - no structure at all - to draw, list, paste ephemera - and then your new weekly/monthly for my bag. Am waiting patiently! Thank you for waiting Aliandra! They are coming soon, I promise! That's the appeal of the daily book for me too, the simplicity of taking one day at a time. Unfortunately everything falls apart when I try to do that because I have to plan ahead and write my weekly lists. Oh well! I would LOVE to have a Filofax or a Franklin Covey in a gorgeous binder. I've tried it and it does NOT work for me. I love bound books and how they lie flat and there aren't any rings. I love the idea of living my entire life out of that one big binder and it just doesn't work. It makes me so sad. So, I stick with my Quo Vadis Minister. I love the paper and I love the layout. Becky, me too. Stuff in a binder just gets mixed up and lost for me and yes, yikes on writing around the rings. But of course with a bound book I will never be able to indulge my fantasy of having a planner like Laurie's with space for goals and weekly plans and with daily notes--and then, in between weeks, an indeterminate number of blank pages for journaling for that week. Because of course I will never know how many pages I need! So a bound planner and another bound book for journaling seems like my best bet. Yes this is exactly the type of fantasy I'm talking about: in fantasy world, how great would it be to have a bound planner with an indeterminate number of pages between weeks? Of course that doesn't happen in real life. I can already hear someone saying "Circa" but the disk bound system just doesn't do it for me. I have an idea for you: you could number the pages in your blank-book journal and refer to those pages in your planner when you want to reference between the books? I guess dates would work the same way. But it would be awesome because I could cross-reference the planner! This is a genious idea. I already number journal pages and index them so I can find ideas I have written about, etc., but never have a date to refer back to in the journal. Dates work for events but not ideas. So, this way I could look in the planner too. Thank you! You're welcome, glad it was helpful! So interesting that many of us have the same themes in our fantasies... Chronological continuity, a record of life as it is happening, seeing the beauty in the organic nature of our lives, yet needing linear structure to maintain control. Although less focused on a planner, I've been struggling with my own version of this ongoing conflict for a long time regarding a sketchbook and a written journal. I've so admired other people's journals that seem to incorporate both so well, as well as their task lists, appointments, info, etc. So beautifully organic! Yet another part of me wonders, How the heck do they ever find a piece of info when they nerd it? And so the struggle continues. I love those books too, where they write their grocery list, journal, a sketch of people the saw at the park that day, and whatever else. But I would never be able to find anything in something like that. Saw that article too. It was her article on using 2 pages per day inserts that prompted me to try using them too, so that I could journal and schedule each day. Just didn't work for me though for some reason and I abandoned it after less than two weeks. I would love to be consistent with a system like she is and have a record of all that info! I hear ya! That's my wish too. Maybe the Space 24 and a daily will do it for me! I bought a blue/green plaid DayRunner organizer about 10 years ago when I went back to school, and I love the color, the dual pen loops, the pockets, and having everything in one binder, but I don't like writing in ring binders, it is a personal size, which is too small for me now, and it doesn't lay flat either. I would toss it but its so pretty! Prachi, a couple of years ago I set up my Filofax with weekly and daily pages and didn't like it because I was always flipping pages back and forth to see what was going on. What works much better for me is to have separate daily and weekly books so I can have them open next to each other. That way I can see what I have to do today, then when I get through my urgent list I can look at my weekly list to see what else I can fit in today. It also helps me to see the rest of the week next to today's details, so I can see if there's anything coming up later in the week I need to prepare for. I use the weekly for planning ahead, goals, scheduling appointments and bills due etc. and the daily only for planning and recording today. That way I never get confused about which book to write in and I don't have to worry about scheduling things in two different books. When I use an A5 weekly and a smaller daily, both books are still portable enough to take everywhere if I want to. Have you tried using two separate books? Ooh sounds like a plan - the problem is the weight; textbooks, exercise books and two planners? No-go zone :( though I'm eagerly awaiting the Plannerisms planner - I've restricted my planner buys until I see it! :) Can't wait! I have almost the same Fantasy/Problem. In my World I'm able to use the handsome personal sized Filofax'. I won't be angry about the way too less Space to write on that paper. Not have to switch the line after 3 words, and all my A5 inserts fit in it as well. So is this "Problem" really existing or are we just always longing for what we can't have ??? I struggle between going Planner and just living life. I have used the Uncalendar at times; currently I'm a Moleskine planner user. On the one hand I like having structure, thinking through what I must do and then going through the list. Where I get lost is the GTD part of the weekly review. It can be a drag to go through EVERYTHING. When I try to wing it, I don't know what I need to do, or focus on all the wrong things. I would love a giant planner with everything I need to make it through my days and weeks. I love that peace of mind. And as I think of it more, I lost that sense of serenity that comes from a planner when I started dabbling in digital planners. And, thinking it further, I don't fantasize about digital planners at all. I seem to be in the same boat as Laurie in needing a weekly and daily. I have used FC DO2P for 18 years, but for the last year have been struggling with keeping the week in perspective. I bought weeklies and dailies, but also struggle with the flipping back and forth, will try separating them. I love, love, love the FC indexes and storage binders. Someday I hope my kiddos appreciate all that chronological information about our life as they have grown up. Cassandra I just now posted an update that I'm back to using the Franklin Covey two pages per day inserts in my new Malden, I absolutely love the layout and freedom of having so much space per day. I tried them a couple of months ago just on their own but they failed because I have to pair them with a weekly. I do like having a separate weekly book so I can see my week alongside my day. My fantasy...is a planner with daily or weekly calendar on the left side, to-do list (or a simple ruled notebook) on the right side, hard cover, my Kindle fits in and has some wallet-like-front-cover where I can place my credit cards. A planner which can hold my entire life. The funny thing is that I have seen Filofax with almost all of these features except a pocket for my Kindle. I don't give up and keep searching. If you have any recommendations please let me know. I can't confirm because I don't own either, but I think an A5 Malden Filofax will fit a Kindle inside the back cover. 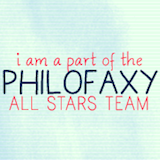 I will ask over at Philofaxy to see if anyone can confirm. Mine does without the cover. I think I have a Kindle 3. Also my cover is the super thick leather one with the built in light so it is probably thicker than most.